Horses and other equines are gentle and thoughtful animals. Like dogs, they are great to spend time with children or adults suffering from certain health problems caused by genetic syndromes, brain injuries, traumatic experiences or other mental health issues. While some scientists claim there are no hard evidence that equine assisted therapy works, others praise this unconventional method stating they have had patients that visibly improved their mental or physical health after undergoing this type of therapy. What is equine assisted therapy used for? Equine assisted therapy has multiple physical and psychological benefits both for healthy people and for people who suffer from certain disabilities, behavior or psychiatric disorders. This type of therapy is not supposed to be used instead of other treatment methods, but with them. Although equine assisted therapy is generally used for treating the conditions mentioned above, over the past years a few specific types have been developed. This helps therapists perfect themselves in a certain area of expertise, which helps patients with much more effective ways of treatment. This type of equine assisted therapy is considered recreational by specialists worldwide. Its goal is to relax the body while improving coordination and developing muscle tone. From a psychological point of view, it helps the patient become more confident and reach a more advanced state of well-being. During the therapeutic horseback riding treatment, a patient will need the help of a therapeutic team and a riding instructor that’s specialized in this kind of activity. Although studies have not reached definitive conclusions, testimonies of patients and people close to them are proof that it improves coordination, balance and posture and works both for sensory and motor skills. This type of equine assisted therapy is successful thanks to the movement of the horse by itself. The rider has to move in certain ways to keep his or her balance, which improves the posture and balance. Hippotherapy has also been said to help with coordination, strength and sensorimotor systems. For this type of therapy, a patient will need the assistance of an occupational therapist, a speech/language therapist and, of course, a horse or another equine. Also named Equine Facilitated Psychotherapy, it uses horses and other equines to treat certain psychological issues. While for some patients this means riding the equine, for others the therapy works just by interacting (grooming, feeding, etc.) with the animal. This depends on the chosen program or on what the therapist will recommend. It works because it provides a distraction from the daily issues or the events that traumatized them. It’s also a new skill that takes time and patience to develop, but is also very rewarding once it’s mastered. People who participated in this type of therapy declared that interacting or riding the equine helped them learn more about themselves and the people around them. Despite it being a lengthy process, it helps patients who are anxious or impatient since they are provided a safe and trusting environment in which mistakes are allowed and gently corrected. It works best for children with emotional or behavioral issues who have difficulties in trusting adults. As the patient is getting better at grooming and taking care of the horse, his or her confidence and overall mood improves. The environment provided by equine-assisted psychotherapy also provides a trusting and supporting adult, a completely new and foreign thing for some children with abuse history. It guides them towards a normal, healthy behavior in society. The Ancient Greeks were the first to use horses as a therapeutic tool for people with incurable afflictions. Hippocrates was the first to mention their therapeutic value. People didn’t give much thought to this type of therapy until the 17th century, when doctors started to recommend it to patients with gout, self-esteem issues or other neurological disorders that were not extremely well documented and differentiated at the time. After the poliomyelitis outbreak in the 19th century, it was introduced in Scandinavia too. Hippotherapy has reached the form it is practiced nowadays about 50 years ago in central Europe, more specifically Austria, Germany and Switzerland. They used a trained horse, a horse handler and a physiotherapist who conducted the session. He gave directions regarding the tempo, direction and gait of the horse keeping in mind the patient’s condition and the issues that needed to be fixed. These movements slowly influenced the desired neuromuscular improvements. 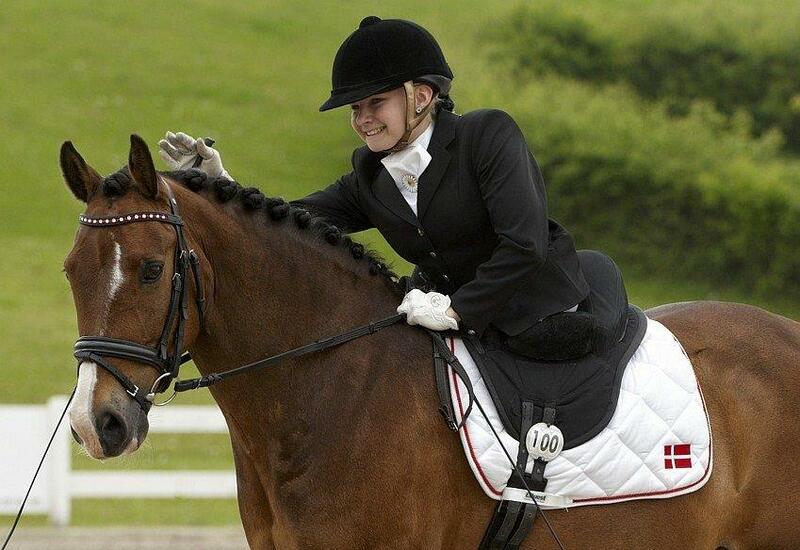 Nevertheless, therapeutic horseback riding started to gain attention once the Danish wonder Liz Hartel managed to win a silver medal. She started following this type of therapy because polio left her legs paralyzed. Most therapy programs pay no attention to the breed of the horse when looking for a good candidate. All they take into consideration is their temperament: a calm, gentle, tempered horse would be a great animal to work with. Since equine-assisted therapy takes place at slow speeds, there’s no need for a horse in his prime. Generally, though, programs avoid selecting stallions since they are prone to violent or unforeseeable behavior because of their hormones. Geldings, or castrated stallions and mares are the most frequent choices. From a physical perspective, a horse should have proper balance and a good structure. The gait is another important factor, since treatment is based on the movement of the horse. It has been observed that horses with good gaits and a healthy behavior towards people are the most effective. Its personality is another important factor, since some will be used in equine-assisted psychotherapy. It is important to care for a horse’s well-being after it has been introduced to therapy work. Although it might seem easy work, horses can be easily stressed out by the daily therapy process. There is evidence equine assisted therapy improves posture for children with cerebral palsy and other motor disabilities. In fact, there have been many high-quality trials regarding the effectiveness of this type of therapy which ended in promising results. However, official position is the studies were too be taken into account. High-quality trials are still needed to evaluate the effectiveness of equine assisted therapy for mental health. Until now, positive changes have been registered in patients who followed this type of therapy for their mental health issues. However, the importance and influence of this type of therapy is shadowed by, and hard to differentiate from other treatment procedures. At the same time, equine assisted therapy is supposed to be complementary to classical treatment means. Therefore, it is still hard to determine whether equine assisted therapy actually works. One thing is certain, though: interacting with such beautiful and gentle creatures can only have psychological benefits. Although people with prescriptions might have discounts and access to other facilities, equine assisted therapy is mostly available to the large public all over the US and Canada. What do you think? Would you give equine assisted therapy a chance? Image sources: 1, 2, 3. No attribution required.